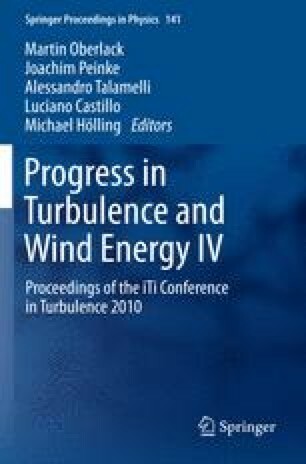 The contribution deals with recent theoretical results concerning separation of a turbulent boundary layer from a blunt solid object in a uniform stream, accompanied by a numerical study. The investigation is restricted to incompressible nominally steady two-dimensional flow past an impervious obstacle surface. Then the global Reynolds number represents the only parameter entering the description of the Reynolds-averaged flow. It shall be large enough to ensure that laminar–turbulent transition takes place in a correspondingly small region encompassing the stagnation point. Consequently, the concomitant asymptotic hierarchy starts with the external Helmholtz–Kirchhoff potential flow, which detaches at an initially unknown point Open image in new window from the body, driving the turbulent boundary layer. It is found that the separation mechanism is inherently reminiscent of the transition process. The local analysis of separation not only fixes the actual scaling of the entire boundary layer but is also expected to eventually predict the position of Open image in new window in a rational way.